I have to tell you that I love Buffalo Chicken Wings. My only problem is there is never enough meat for all of the effort involved in eating them. 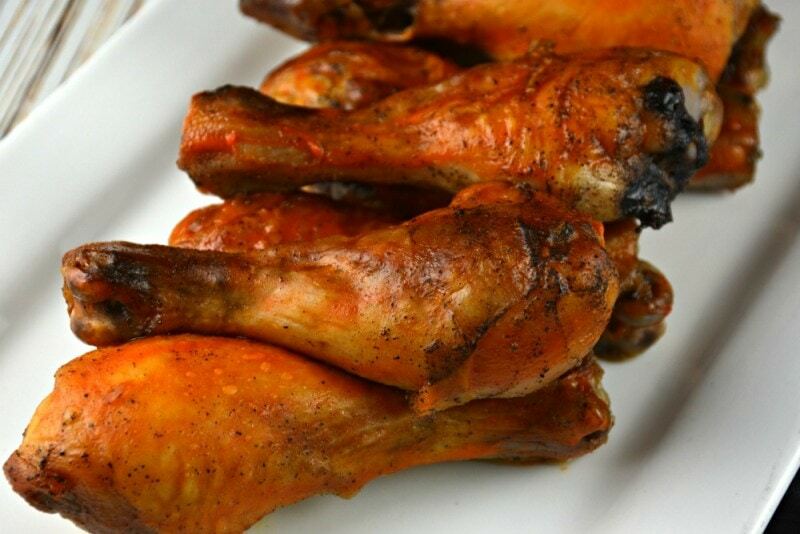 Now when I get that craving I make these Easy Buffalo Chicken Drumsticks. They are so easy and they taste so yummy! I still get to taste the buffalo wing flavor but I get to enjoy more of the sweet dark meat! 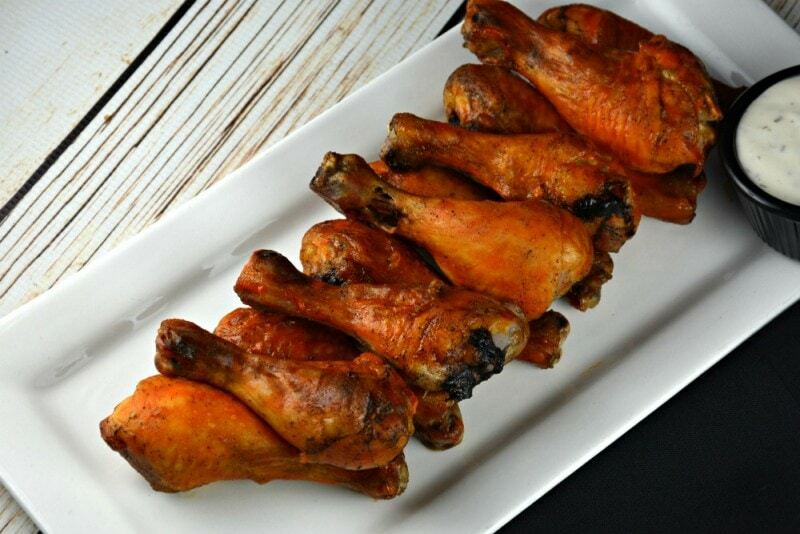 We always have dips around to eat these Easy Buffalo Chicken Drumsticks! I prefer blue or bleu cheese. Ken, my husband, loves ranch and my son Patrick loves hot sauce or hot buffalo wing sauce! What ever you prefer! If you are a fan of chicken drumsticks like we are I have listed some of our favorites below! I hope you enjoy them as much as we do! 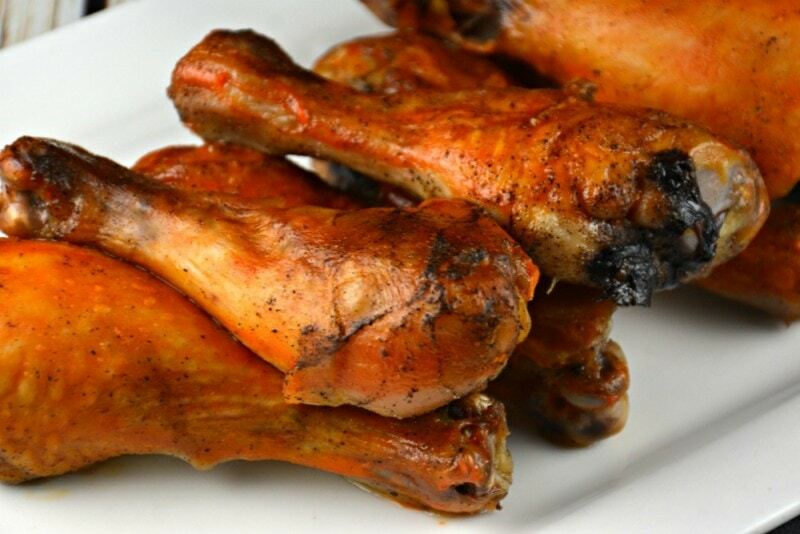 We serve everything from carrots and celery sticks to a salad with these Easy Buffalo Chicken Drumsticks! Have a peek at our video! See how easy they are to make! Preheat oven to 425 degrees. Prepare a rimmed baking sheet with tinfoil and a rack lightly coated in cooking spray. Set aside. Rinse drumsticks and pat dry with paper towels. Sprinkle drumsticks with salt and pepper. Place on your prepared sheet spaced evenly apart. Bake for between 30-35 minutes. Skin should be crisp and internal temperature should be 165 degrees. Once cooked coat them with your buffalo wing sauce. Bake for another 5 minutes. Remove from oven and coat with more buffalo wing sauce. Allow to sit for 5 minutes before serving. Serve with additional buffalo wing sauce and blue cheese or ranch dressing on the side if desired. We LOVED THESE DRUMSTICKS. thank you.